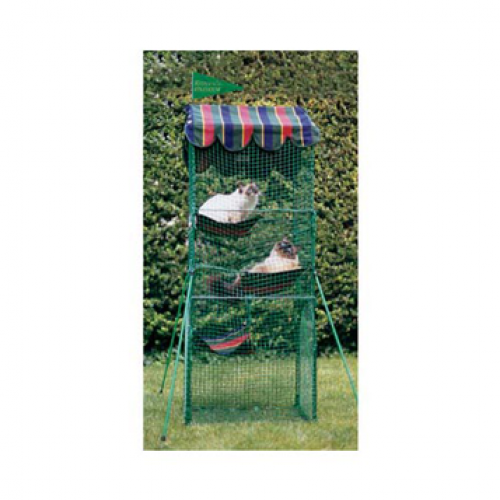 Vertical outdoor enclosure that allows your cat or kitten to relax in the fresh air, watch the birds, exercise and safely enjoy the sunshine in the great outdoors. Use the Kittywalk Penthouse with other Kittywalk components or use on its own. The vertical design is ideal for small apartment and condo balconies or wherever a Kittywalk Deck and Patio will not fit.